"Staffs are very friendly, ." 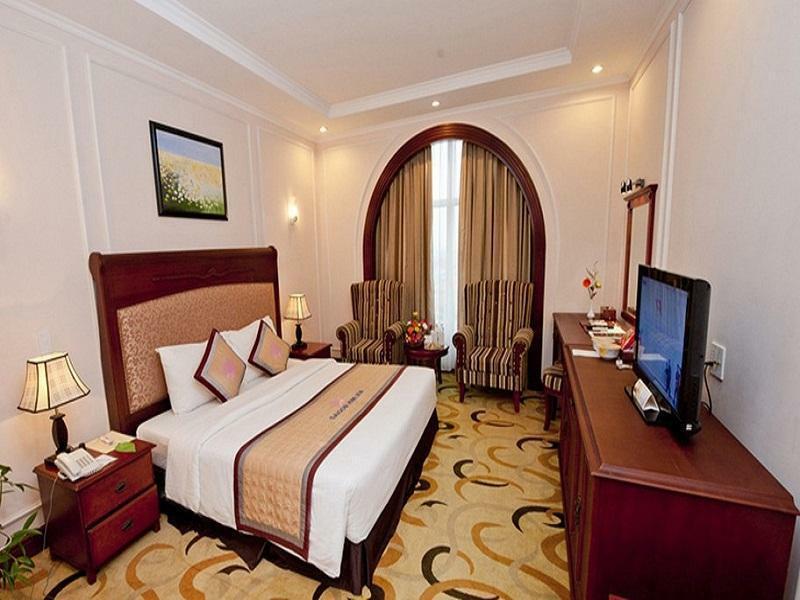 Have a question for Saigon Kim Lien Hotel - Vinh City? "Staff are very helpful, food is outstanding, pool is really lovely and clean." "Mosquitoes inside the room :( But overall the staffs are ver..."
There are 80 rooms in this 5-story hotel, all equipped with the most up-to-date amenities. To make each guest's stay comfortable, all rooms feature bathrobes, a bathtub, and internet access. 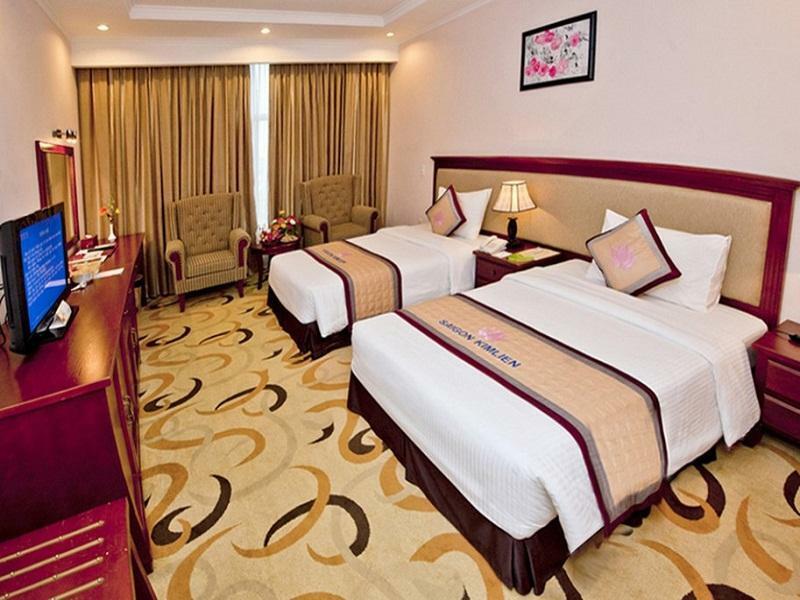 Shops, restaurant, and laundry service/dry cleaning are some of the extra comforts you'll find at this Vinh hotel. A steamroom and outdoor pool are on-site for guests' enjoyment. The hotel blends expert service with state-of-the-art facilities to provide guests with a memorable stay. 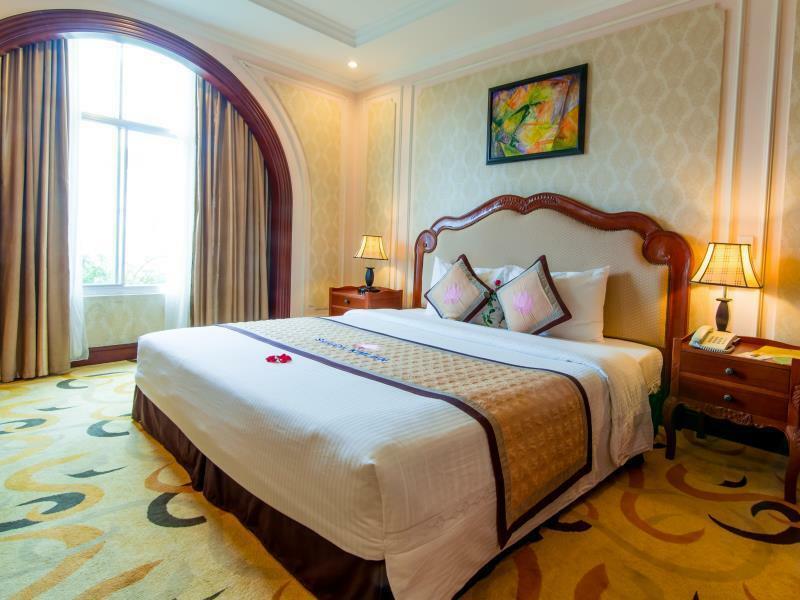 Saigon Kim Lien Hotel - Vinh City is easy to book - just enter your travel dates on our secure online booking form. "Front Counter have a good service." Staffs are very friendly, ... everything is ok but poor breakfast. Thank you for you help us call Taxi. The staff looked like they can’t be bothered to talk to us when we were checking in. My partner was hacking us out and said the same lady was much nicer during check out. Breakfast is pretty good, a lot of options and there’s an egg chef to whip your molet or fry the egg. Location itself is not very interesting. Nothing around and hard to find some food. We had banh cuon and a coffe literally opposite the hotel and it was great. I guess it’s a good place to stay overnight if you have to catch a train/a bus the next day. Swimming pool with Bar..... restaurant food was good, as was breakfast. Would be safe choice. 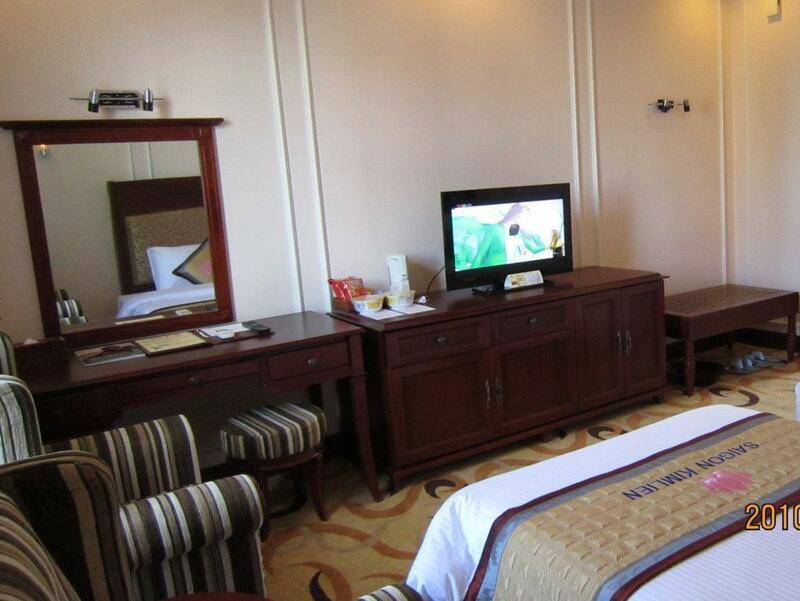 If you don't want to stay in Muong Thanh hotel, then this one is the best choice. It is a bit old hotel but location is excellent. Booked here for the swimming pool which was lovely, fringed by palm trees but unfortunately often full of children having swimming lessons. The hotel was nice but being renovated with nice touches like a silk robe and a bath but there are better deals in the city. Very friendly man looked after us in the restaurant. Thanks :) The buffet breakfast was fine they have an egg chef there. Staff are very helpful, food is outstanding, pool is really lovely and clean. Massage center is now open and every time I come here there are more and more improvements!! Mosquitoes inside the room :( But overall the staffs are very nice kind pleasant and helpful! It was a very short trip and I was in a hurry. Saigon Kim Lien is very close to the memorial zone I visited this time, just need to cross the street and it was. I tried to have lunch in the hotel restaurant. And the dishes (chicken salad, eel and squid is more than my expectation in hotel in such a small city). One day after I left the city, Mrs Thuy in receptionist department helped me to transfer money that I forgot to send to one of my friend in Vinh city. Very enjoyable stay with friendly staff with good English skills, good food a all round good hotel. Located perfectly, very comfortable and central to all you need. It is now 3 or 4 times I have stayed here. Each time, service has been polite and professional, from reception to bellboys to restaurant. Staff are friendly and very willing to help. 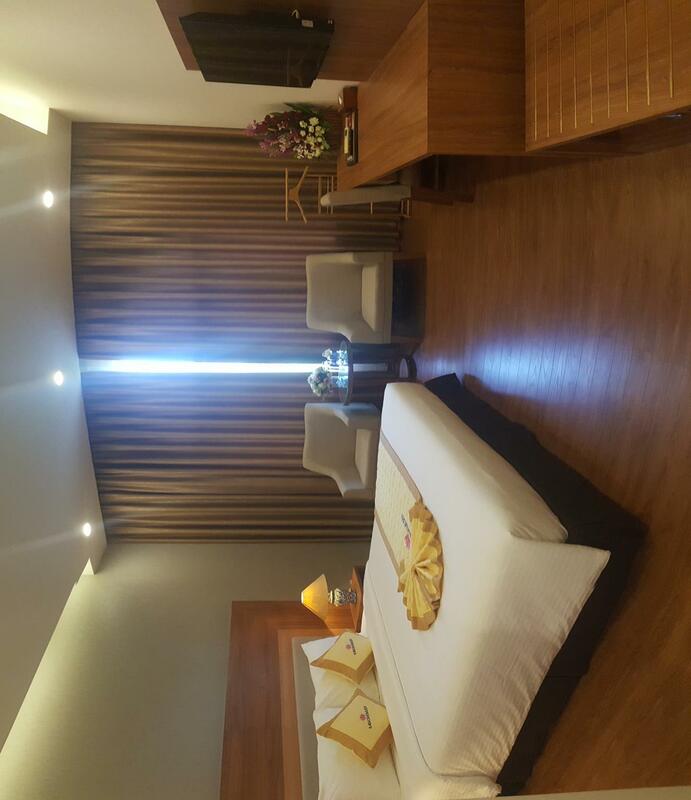 Rooms are clean, comfortable with basic amenities and furnishings. Bed is comfortable. Nothing over the top here but is consistent with what you pay. Situated on main route, but traffic noise kept at bay if you close windows. Breakfast selection good, catering for vietnamese and some western tastes. 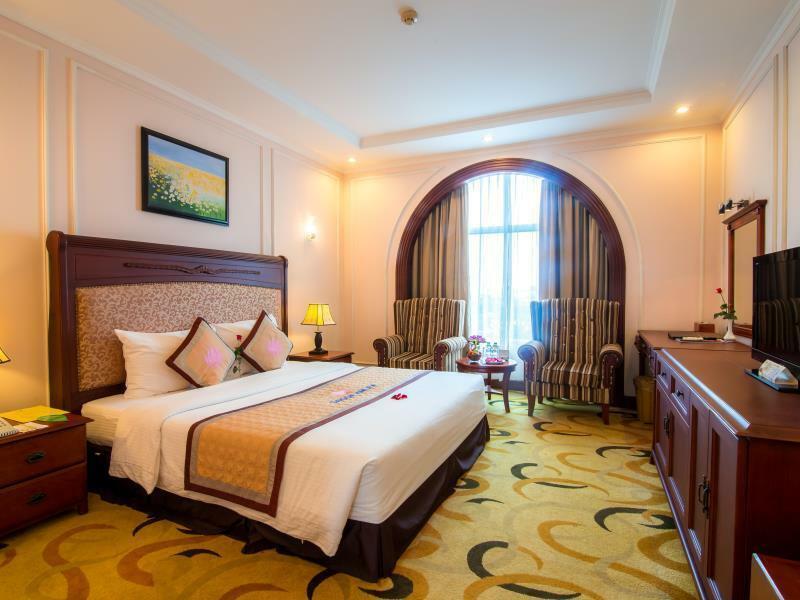 Overall, one of the better recognised hotels in Vinh that offers good value for money and a promise of a pleasant stay. Language barrier was a big block to obtaining any service that we required. Food, although readily available in restaurant, despite the late hour of our arrival, was mediocre in quality. Breakfast was also of lacklustre quality We could not obtain any information on transport options to arrange our departure from Vinh. Eventually we were directed to the internet, however, this was also a trial to use as a result of lack of technical assistance and printing facilities. 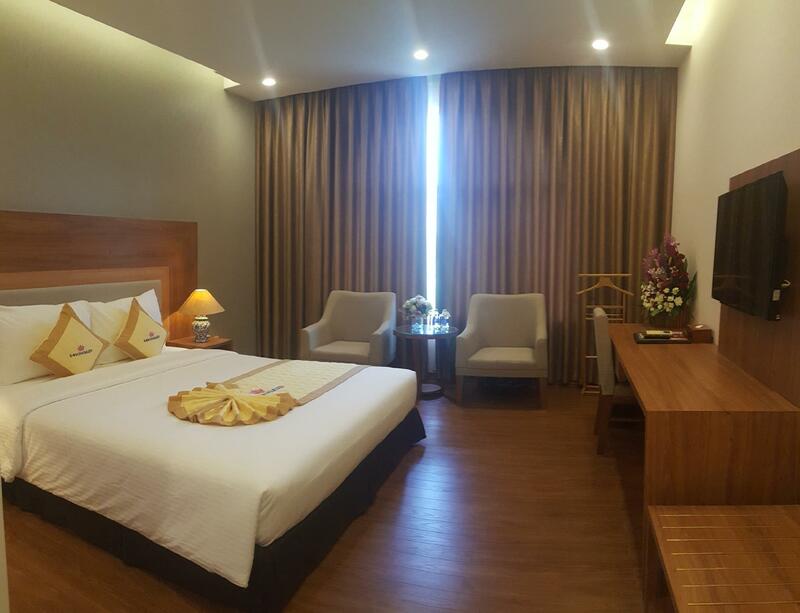 This was my first trip to Vinh and assuming that it was not a major city with good facilities, I wanted to ensure that my accommodation should at least be ok. So I chose this hotel since it has the highest rating. Checking in was fine. Reception was efficient and friendly. Room was so-so. Dining experience was dismal. The restaurant was closed in the evening and dinner was served at a decrepit poolside with lots of mosquitoes. Was my stay unpleasant ? I would not say so but my expectations were not met. On the positive side, the free WIFI was working beautifully and the staffs were all courteous and friendly. Breakfast was surprisingly good. we enjoyed our stay in the saigon kiem lien hotel. we were backpacker-traveller and didn't really fit to the normal clients of this business hotel. the receptionist weren't that friendly, and the english of the whole stuff lacks a bit. very nice hotel and very friendly staff. they helped us with every question we had. the buffet breakfast was plenty of variety. our room was big and comfortable. Stayed only one day but planned to return. Room was big, clean and comfortable. Breakfast was one of the best. Staff was very friendly, bell boy took us around the premises to be our photographer. Visited the pool: clean, good size but did not swim because of cold weather. Centrally located, close to everything and shopping.